Yesterday we shared some behind-the-scenes shots from the day Tim cooked an entire Thanksgiving meal with Relay Foods back in September. Tim is the star of the show when it comes to planning, cooking and executing a meal. Styling the table is where my creativity kicks in. 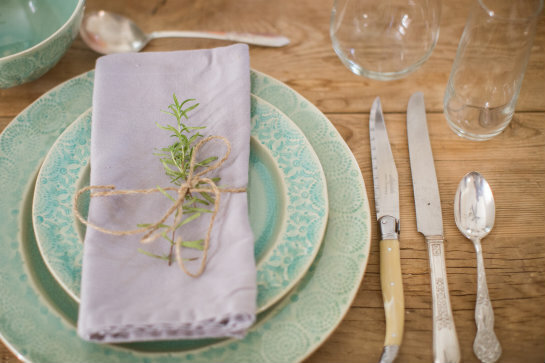 Today I wanted to share some of the smaller details from the tablescape we staged for this meal, particularly the rosemary sprig place settings. I'd seen this idea all over Pinterest back when we were planning our wedding and loved how the rosemary integrated herbs into the decor, giving a natural feeling and light fragrance to the room. 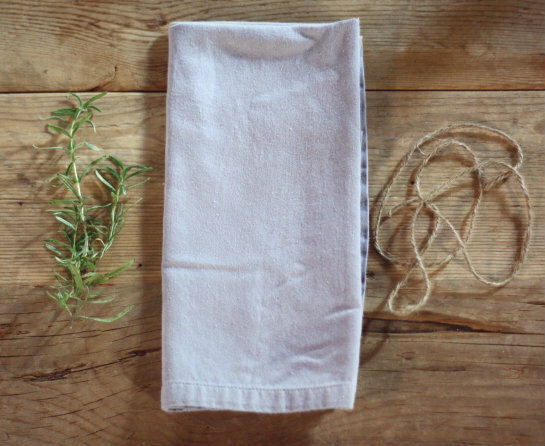 While we chose rosemary since our plant was supple, any other seasonal herb (or mix of herbs) could be used in the same way. This time of year, hardy herbs like sage, thyme, oregano, tarragon and lavender would all work well. 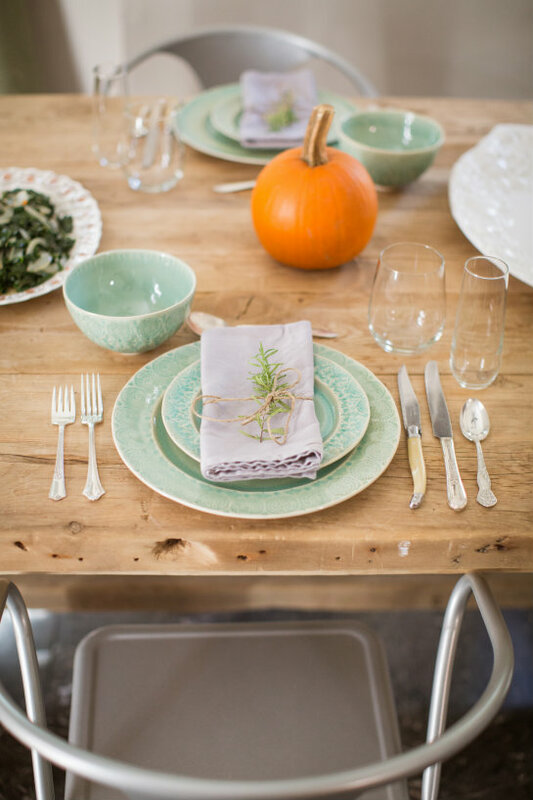 These place settings make for a festive update to your Thanksgiving or holiday spread, and did you know that many herbs carry symbolic meaning? 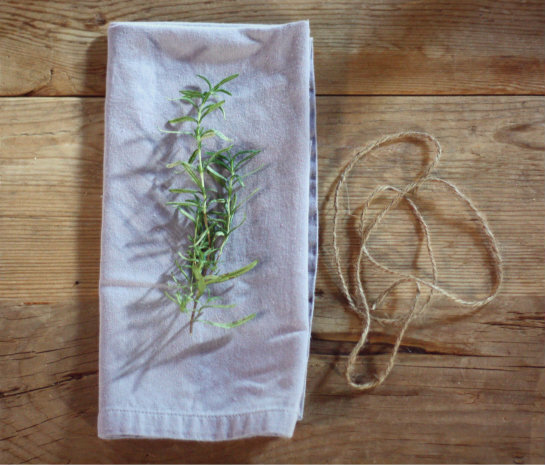 Evidently, rosemary symbolizes remembrance, love, loyalty and fidelity. Depending on the herb or mix of varieties you choose to use in your tablescape, the symbolism could make for great conversation starters (or a quick way to change the subject when in need, haha). 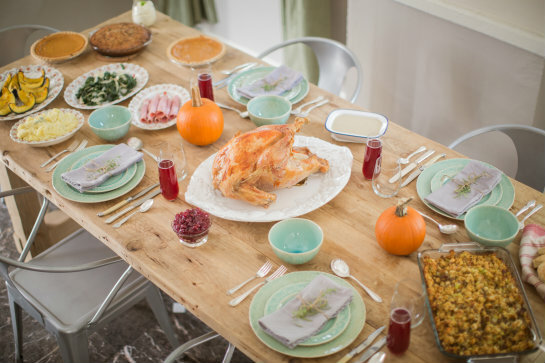 This was also the first time I was able to set our table using our collection of mismatched silverplate flatware. 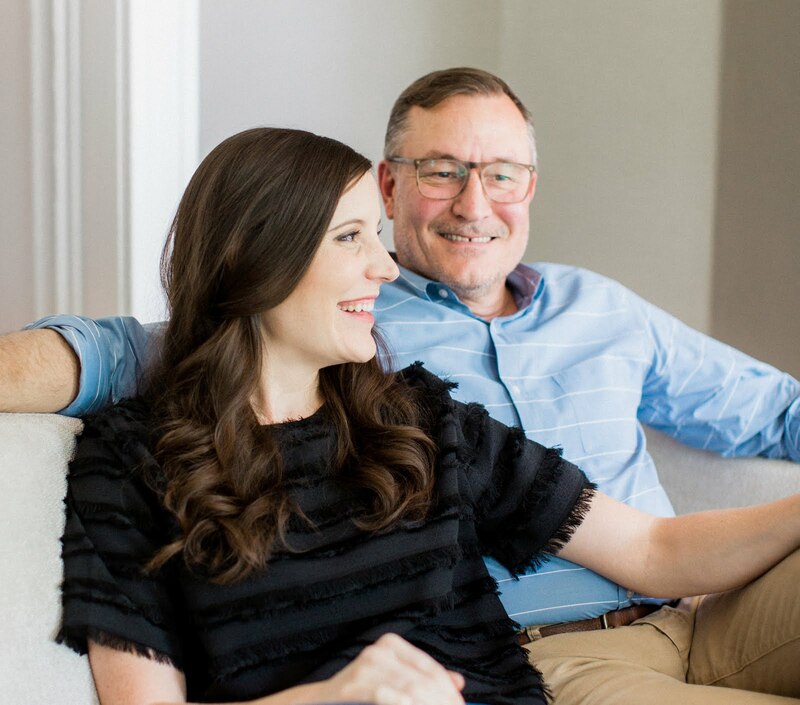 You can see from the photo above that these shots were taken before we settled on a rug for this room, but it's fun to be able to look back and realize all the little steps we've made to get to where we are now. 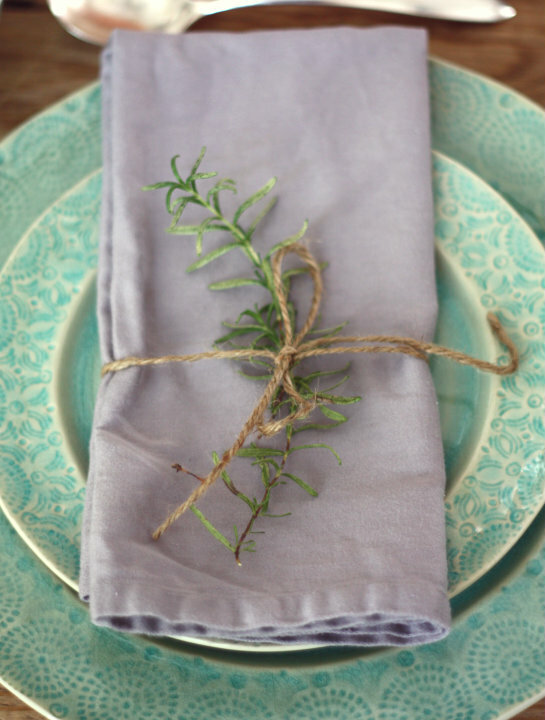 In what might actually be the simplest DIY project ever, I present, how to make rosemary-embellished napkin place settings. Rocket science, I'm telling you. Though I have to admit, they do add such a nice little rustic and thoughtful touch. 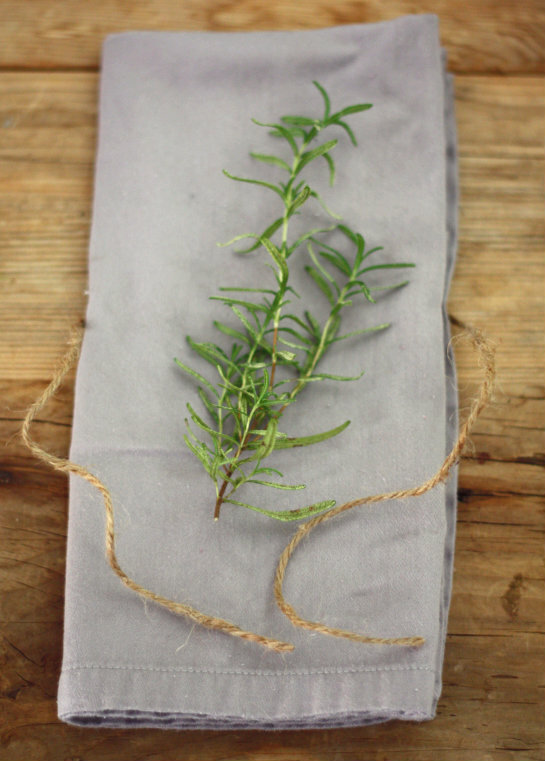 Guests can set their sprigs to the side, incorporate as a garnish into their meal or take them home as a parting favor to propagate into their own plant. For all the Thanksgiving recipes you see on the table above and more shots from the day, check out the Thanksgiving menu page over on Relay Foods. What stone wear? Beautiful green blue!